I drew up the mount in Sketchup to see how everything would look and figure out where the hole should go. 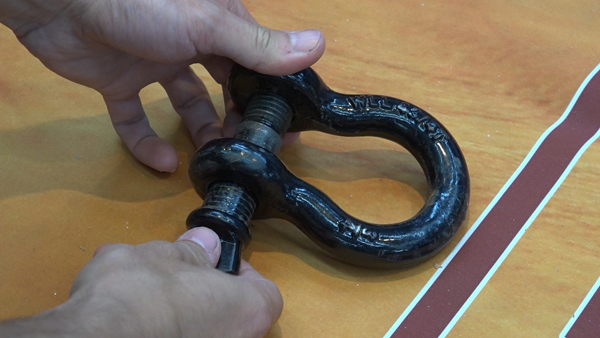 These are the shackles that I bought to use on the trailer. 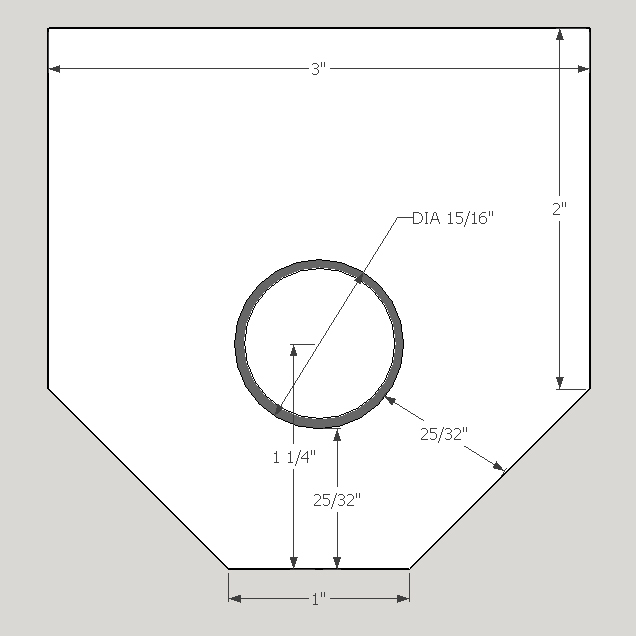 They are rated for 4 tons and have a 7/8″ pin. 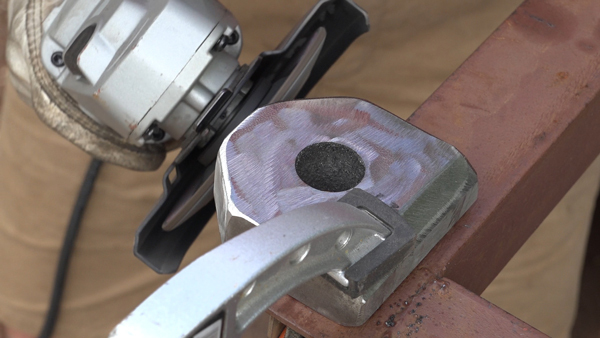 The shackle mounts are made from 3″ by 1″ thick cold rolled steel. 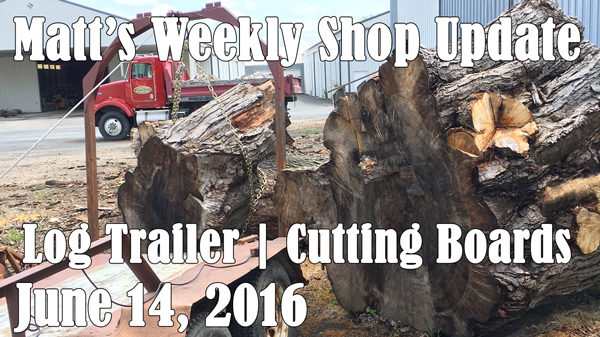 I picked up this offcut from my local steel yard which will be more than I need for 6 mounts. I start laying out the individual mounts on the steel. 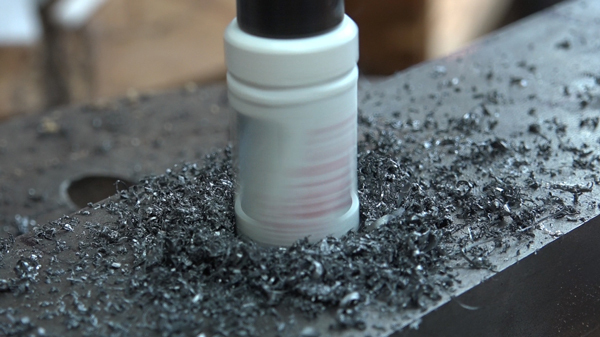 Then I’ll layout the center points for the holes and mark their location with a spring loaded center punch. The hole where the pin goes though is going to be drilled to 15/16″ and of course, there are plenty of ways to drill holes in steel. I decided to go with an inexpensive option and use a hole saw. 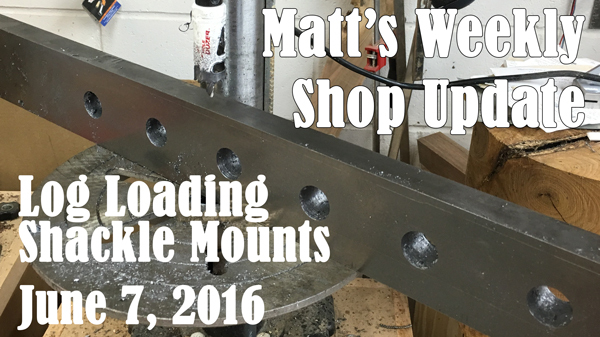 I used a hole saw to drill 1″ diameter holes in 1/2″ steel when I built the arch mount for the trailer and that worked out great. 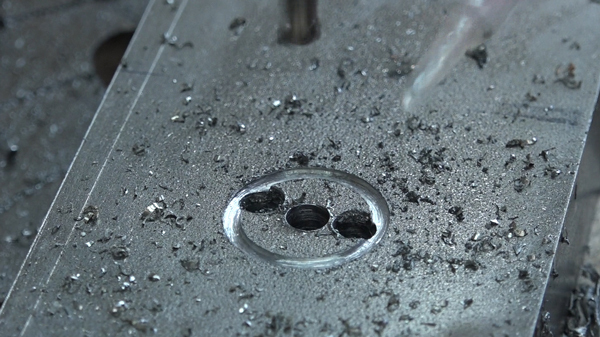 I took my time drilling the holes, keeping the bit well lubricated. It took about 10 minutes to drill each hole but I had to stop after ever other hole to let my drill press cool down. This is easily more work that it has ever done. One tip that I got from Will on Instagram was to drill a few holes in the waste area to give the chips somewhere to go because once you get down past 1/4″ the saw can’t clear the chips as easily since the gullets are below the surface. Before I tried this method I would add lubricant to clump up the shaving and raise the bit to clear them. That worked ok but having the relief holes did make the drilling easier. It took roughly the same time to drill the holes since I had to drill those extra holes first but the time spent with the hole saw was much less. The hole saw was still cutting after six holes – not bad for a $6 bit. Now that I have all the holes drilled in the blank I can start separating and clipping the corners of each mount. I used my abrasive cut off saw for this. 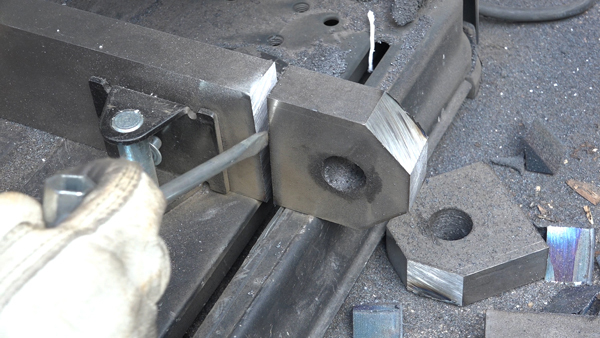 I started by cutting the 45 degree cuts on both corners which gives the shackle and whatever is connected to it clearance to swing past the corner. Once those are cut, I could swing the fence back to square, stand the blank up, and separate the mount. Each cut on the saw took around 45 seconds and I ended up using most of the cut off wheel. It’s pretty small now. 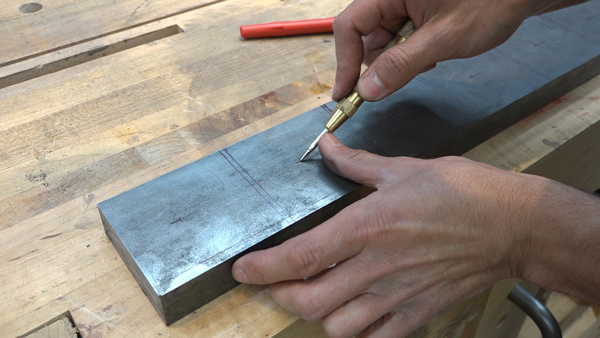 The last bit of work was done with an angle grinder with a flap wheel to grind off the sharp corners and to grind welding bevels on the bottom. 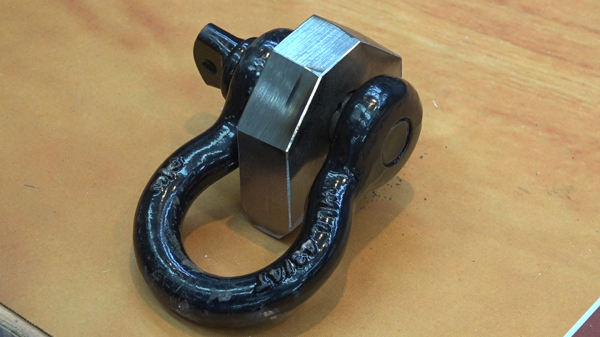 One completed mount with a shackle installed.